Learn how to use social selling best practices to create a daily routine that’s robust, flexible, and effective. For most sales reps—even the most social and digitally minded among us—social selling is still a brave new world. When it comes to new and novel approaches to sales, there’s always an adjustment process—and it isn’t always easy to build lasting habits. If you’ve begun to incorporate social selling into your routine, but are still getting the hang of it, you may be “dabbling” in social selling best practices. For example, you might find yourself occasionally sharing interesting posts on LinkedIn or reaching out to prospects to build relationships—but only when something jumps out at you, you absolutely need to reach a client, or a colleague reminds you. This is natural, and it’s better than not engaging with social selling at all. Unfortunately, it isn’t an effective strategy for embracing social sales. In the end, dabbling will only keep you from realizing the full potential of this strategic approach. David Mattson, CEO and President of Sandler Training and a social sales leader, considers developing a daily process to be one of the most vital skills any modern sales professional can have. “Many salespeople go by intuition, but 80% can’t write out their process from start to finish,” Mattson says. Ultimately, building a repeatable process can be the difference between succeeding in social sales and giving up before you see meaningful results. Sales professionals often must act and react based on a rapidly changing world, so it makes sense that many sales reps get used to going with their gut. But as David Mattson explains, the most successful salespeople are those that create an effective system of best practices that they can repeat each day. That’s a principle that applies to all aspects of sales, but it’s particularly important in a new, evolving area like social selling. In fact, once you’ve been trained and have gained a basic understanding of social selling best practices, you should immediately seek to create a daily list of activities to support them. 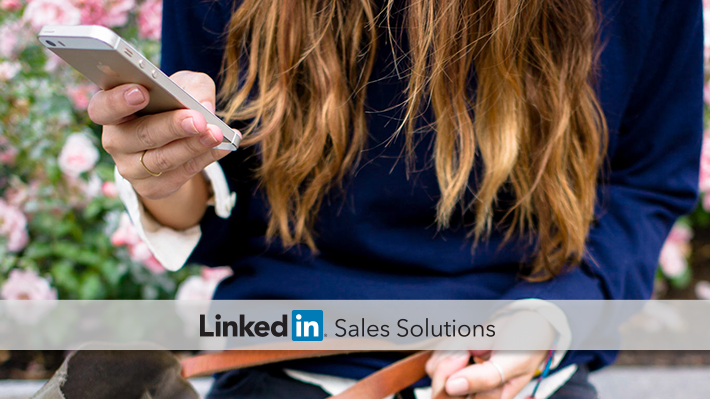 In creating your list, you can look to LinkedIn’s four pillars of social selling as a guide. In particular, you’ll want to ensure that you’re searching for decision makers, posting updates, building your online professional brand, and maintaining relationships with prospects. Of course, you’ll be most successful on the LinkedIn platform if you can find a way to do each of these regularly while incorporating them into your existing routine. That brings us to the other most important aspect of your social sales routine: repeating it every workday, with as few exceptions as possible. That might sound like a daunting challenge, but keep in mind that many social sales leaders maintain a daily LinkedIn routine that takes up less than a half hour of their morning. Remember that social selling presents you with a unique opportunity to position yourself as a trustworthy expert in your industry. Your prospects and connections will notice your regular engagement be more likely to trust you in the future. Though your daily routine will depend on your own needs and goals, some of the easiest tasks to repeat on a daily basis include posting and engaging with updates, responding to messages, and seeking out new connections. Once you’ve built those habits, you might be surprised by how much fun it is to make social selling a part of your day. Once you’ve solidified a routine of LinkedIn best practices, you’ll also want to make sure that it’s not so rigid that it closes you off from potential opportunities. After all, social selling is still an evolving universe, and staying ahead of the curve can give you a substantial competitive advantage. So, what can you do to remain open to changes and new challenges as you build an effective social selling routine? For one, make sure that your routine itself is flexible and open. For example, make it your goal to engage with content updates in general, rather than continually looking at one specific topic or source. At the same time, keep your eyes and ears open. LinkedIn is a great place to stay on top of new trends and ideas, and if you remain engaged, you’ll likely find it easier than expected to adapt to changes in your specific industry. Learn more about what the best social sellers do by downloading our new eBook, Proven Strategies From the World’s Top Sales Professionals.